When you think of the best Z-Wave door sensors, you think of security systems. Monitoring the security status of a door is one use of a door sensors, but there are endless additional uses when paired with a home automation controller. For example, Z-Wave door sensors can trigger lights to turn on when doors are opened, notify you if someone opens the liquor cabinet, or remind you if a door is left open more than five minutes. You will discover dozens of uses for door and window sensors in your smart home. 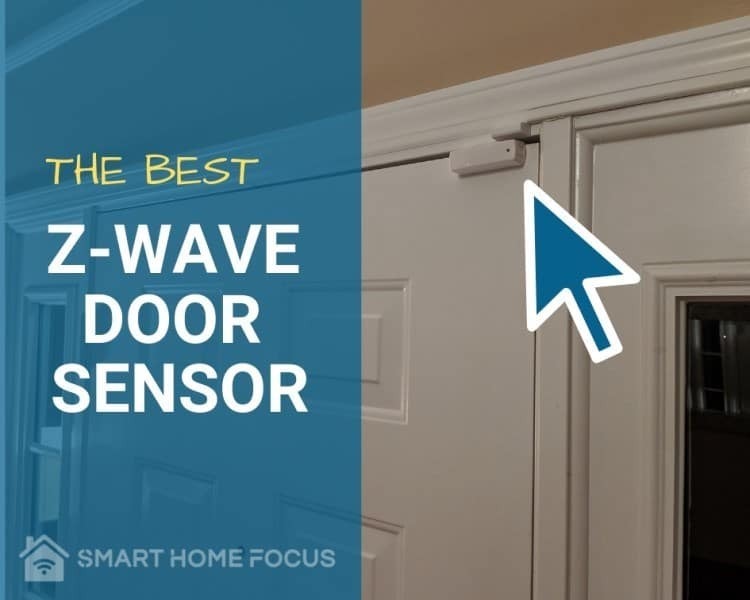 This article will make sure you find the best z wave door sensor for your home. The table of products below doesn’t contain every Z-Wave door sensor on the market (there are dozens). But it does include products that I consider reliable and useful depending on your needs. The article below explains features to look for and detailed information for each of these door sensors. My #1 choice for door and window sensors. Good choice if you want to use standard AAA batteries. Small and stylish sensor with multiple color choices. Perfect choice if you want to paint the sensor. Only two pennies thick and you can use outdoors. Recessed sensor is hidden, but requires drilling. Tilt sensor made for garage doors. What is a Z Wave Door Sensor? A door sensor is a contact sensor that typically consists of two parts. The first part is the main body that contains the battery and communication components. The second part is a smaller piece containing a magnet. When the second piece (the magnet) is close to the first piece (the body) then the sensor registers as closed. When the two pieces are separated, then the sensor sends a signal that the door is open. Almost all sensors work by using this simple concept. Z-Wave and Z-Wave Plus is one of the primary communication protocols used in home automation. It has been around for more than ten years and is known for being extremely reliable. Z-Wave technology uses banking level encryption to ensure your devices are secure. Z-Wave is also a mesh network, which means the more devices you have in your home, the stronger and more reliable you network. 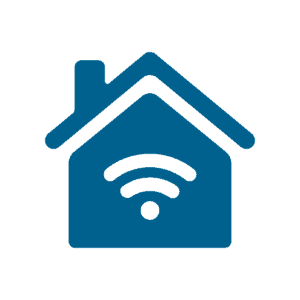 Z-Wave door sensors require a smart home hub such as Samsung SmartThings, Wink, Vera, or HomeSeer. I use the SmartThings hub in my home and recommend it for your home too. What should I look for in a Z Wave Door Sensor? A door, window or contact sensor provides important information or triggers important actions in your home. As a result, the most important quality you are looking for is reliability. Size and aesthetics are also important, but it is worthless to have a nice looking sensor if it doesn’t work consistently. Sensitivity - This refers to the amount of gap that you can have between the two components and still correctly report an open or closed status. Technology - This article focuses on Z-Wave devices, but look for Z-Wave Plus certification. Z-Wave Plus door sensors offer the newest technology, but are backwards compatible will all Z-Wave devices. Z-Wave plus is 50% better on battery life, 67% better with range, 250% higher in bandwidth and offers other features that make the device easier to use and more reliable. Battery Life - You don’t want to change batteries every few months in your sensors. Look for battery life of at least one year and preferably more than two years. 1. Recessed Door Sensor - Devices recessed inside the door and hidden from view. 2. Ultra Thin Door Sensor - Devices that are thin enough to mount on the top or side of the door. Color - Most devices come in a standard white color, but some brands include other options such as brown. If you really want to match the color of your door, then consider a sensor that is paintable. The Ecolink Z Wave door sensor is a great choice for adding sensors to all the exterior doors in your home. It is one of the best performers with a battery life of up to 3 years and magnets that can reliability trigger with a gap as big as ⅝ inch. The sensor also reports tampering if the outer cover is removed. The Ecolink door sensor can also work with hard wired sensors. For example, if you have a group of windows with hard wired sensors, you can connect the hard wired sensor with the Ecolink Z-Wave sensor. After it is set up, the Z-Wave sensor will signal a window is open if any of the hard wired sensors are triggered. This is a great option is you already have hard wired contact sensors from your alarm. The Ecolink Z Wave door sensor is one of the largest options (3.35 x 1 x 1 inches), but I find that it isn’t noticeable once placed on the door. The device includes white and brown covers so it blends in better with the color of your door. The Ecolink Z Wave door sensor is the device I personally use the most and highly recommend. I have several of these throughout my home including the standard Z-Wave sensors. Over the past four years, I have only had issues with one of these sensors and that just start started a couple of weeks ago. I will replace this sensor with the newer Ecolink Z Wave Plus door sensor. The Aeotec door and window sensor is fairly average when comparing to other sensors. Batteries last up to 2 years with light use before they need changed, and it uses AAA batteries that are easy to buy and replace. Batteries last around 400 days with frequent use defined as 10 opens per day. The sensor is wider than most sensors (2.9 x 1.1 x 1 inches), but it is relatively short compared to other sensors. The sensor also has tamper detection to report if the cover is removed. Overall, Aeotec makes a lot of good products, but this one gives me pause due to the amount of complaints regarding reliability. Fibaro makes some of the best looking door and window sensors on the market. It is one of the smallest sensors available (2.75 x 0.7 x 0.7 inches) and it comes in seven different colors ensuring that in blends in with your home. The Fibaro sensor uses one ER14250 battery that is rated to last up to 2 years. Additionally, the Fibaro door and window sensor includes a temperature sensor that is built into the device. This can be used for information or it can trigger other actions in your smart home with your home automation controller. Lastly, the Fibaro sensor includes tamper notification if the cover or device is removed. The Fibaro door sensor works with SmartThings, but it requires a custom device handler to work properly. Fibaro provides detailed instructions and the custom SmartThings device handler here, which must be installed on the SmartThings IDE. This process is not extremely difficult, but it makes this a poor choice for someone that wants a plug-and-play option. The Aeotec Door and Window Sensor 6 is a great choice if aesthetics is high on your priority list. This sensor is a very unique triangular shape that is also very slim (3.9 x 2.8 x 0.35 inches). Additionally, the Aeotec Sensor 6 can be painted so it blends in perfectly with your door. The Aeotec Sensor 6 contains two magnetic triggers that can properly sense and report with a gap as big as 0.9 inches. This is one of the most sensitive sensors available. The device uses a built in rechargeable battery that the manufacturer claims will last 1 year with normal use. However, several customers report that they only get 3 months of use before the battery needs to be recharged. The battery is recharged by removing it from the door and plugging it into a USB cable. Overall, this is a good device if you want your sensor to blend into a custom painted door. I would avoid using the Aeotec Sensor 6 on frequently used doors because it would be a pain to constantly recharge the device. Sensative Z-Wave Sensor Strips Guard are the slimmest sensors available (7.7 x 0.6 x 0.12 inches). These sensors can be placed in an area that is thin as two pennies! The thinness of the design allows these strips to be mounted between your door or window and the frame, which makes them invisible. Additionally, these sensors are rated for indoor or outdoor use, which makes them one of the most versatile Z-Wave door sensor options. The Sensative Strips Guard is powered by a non-replaceable battery that the manufacturer states will last for 10 years. Most negative reviews for this device revolve around the battery failing much sooner than the manufacturer claims. However, Sensative now includes a separate 3 year extended battery warranty on all devices purchased after May 1st, 2018. The battery warranty form can be found here and must be submitted within three months after purchasing the device. Most people with battery issues seem to have their Sensative Strips replaced by the manufacturer without hassle. The biggest attraction for this device is the ability to easily place them where other sensors just won’t work. This includes hiding them in the door frame (without drilling) or placing them in exposed areas outdoors. These devices will operate in rain and with temperatures from -4 to 140 degrees Fahrenheit. However, the manufacturer does caution that these strips will not work with fully metal or aluminum doors due to signal loss. The Aeotec Recessed sensor is designed for those that want to hide their sensors as much as possible. The Aeotec Recessed sensors are mounted inside the door and door frame. As a result, the sensors are virtually invisible once they are installed. Installing these sensors is a little more complicated than a standard door sensor since you have to drill a 19mm hole 65mm into your door/door frame to fit the sensor (1.6 x 0.8 x 2.5 inches). If you are not comfortable with this type of work, then you should hire someone to help or choose a different sensor. The Aeotec sensor uses one CR2 battery that is rated to last 1 year. The sensor must be unscrewed and removed from the door when it is time to replace the battery. The Ecolink Garage Door Tilt Sensor is a specific device used to determine if a garage door is opened or closed. This device contains a sensor that can measure the angle of the door. When the garage door starts to open, the angle of the door changes which triggers the sensor. This is a very reliable way to track whether or not your garage door is open. The Ecolink Tilt Sensor uses a CR123A battery that is rated for 5 - 8 years of use. The size of the device (3 x 1.7 x 1 inches) ensures that it will be easy to mount on your garage door. The Ecolink Sensor also uses gold plated tilt components for increased reliability. I have used this device in my home for several years without any issues of false or miss reporting. Technology is always improving and new products are constantly being released. Here is a summary of other door sensors considered, but ultimately left off of the list for various reasons. In the future, these devices or others could evolve into a choice worth considering. Monoprice Z-Wave Plus Door and Window Sensor - This is a large sensor (3.6 x 2.25 x 1.7 inches) that uses two AAA batteries that the manufacturer claims will last up to 1 year. This device is larger than I would like and there are multiple reports of batteries draining extremely fast. For these reasons, it is not a device I’m considering at this time. Dome Window/Door Sensor Pro - This is a sensor I wanted to like. It is fairly small compared to other sensors (2.9 x 0.85 x 0.87 inches) and the manufacturer claims a 10 year battery life using an ER14505 3.6 volt battery. The sensor also includes a temperature sensor which is a plus. However, there are a significant number of reviews with people having reliability issues. This device officially works with Wink, so you might want to consider it if that is your home automation platform. I will continue watching this device to see if the manufacturer addresses some of the issues being reported. Haozee Door/Window Sensor - The Haozee sensor is a low priced sensor that gets a lot of positive reviews. It is a smaller design (2.75 x 0.75 inches) with rounded corners, which might be a preferable look for some users. The device uses one CR2 battery that is rated to last 2 years. Haozee isn’t officially supported by SmartThings, but users state that is pairs to the hub without issue. This is a device I would consider if I needed to add a lot of non-critical sensors throughout a home. Ecolink Z-Wave Motion Sensor - This is the primary sensor I use on all the doors in my home. Reliability and battery life has been great over the past several years. Ecolink Z-Wave Garage Door Tilt Sensor - This is the tilt sensor that I use on my garage door. Again, it has been extremely reliable and I have never had to change the battery. In my opinion and experience, you can’t go wrong with these two sensors.